The Kop van Jut opened her doors in the year 2000. 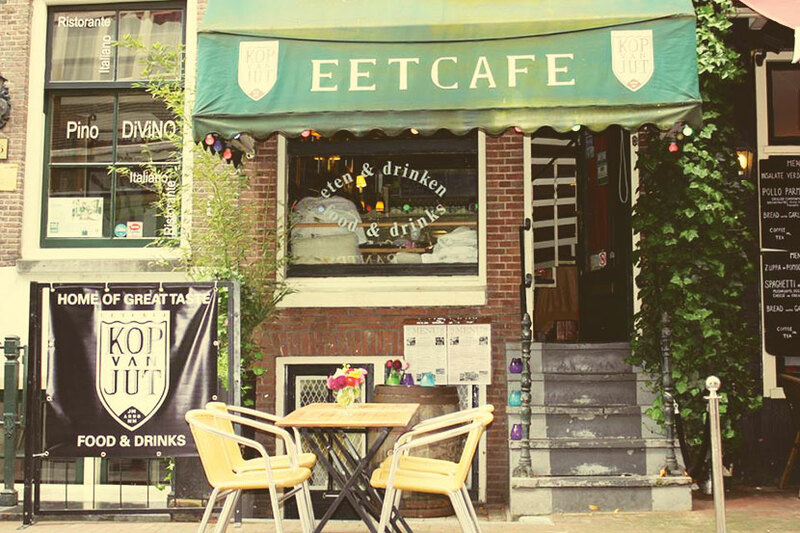 We are a small enthusiastic team who will do their utmost to make you feel at home in our Eetcafe (Small Restaurant) in the centre of Amsterdam. 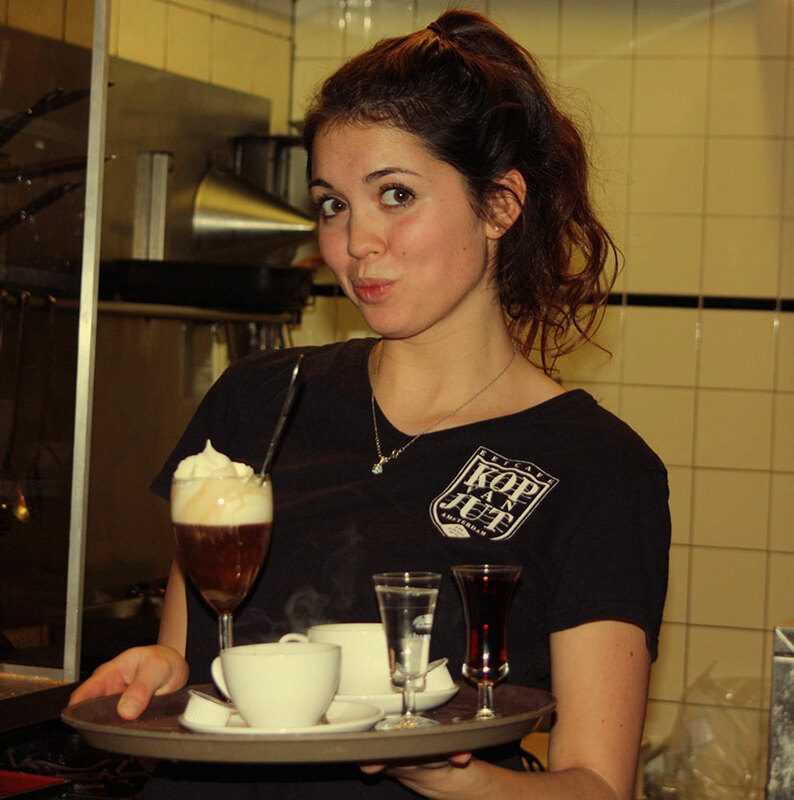 Here you will experience the Dutch “gezelligheid”. You can eat in the restaurant downstairs or living room upstairs, which has 14 seats. 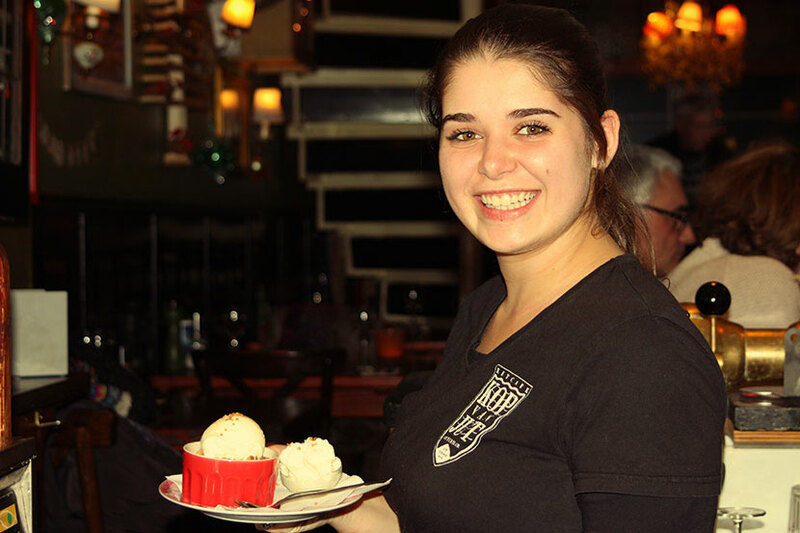 We will surprise you by the good quality of our food for a reasonable price. 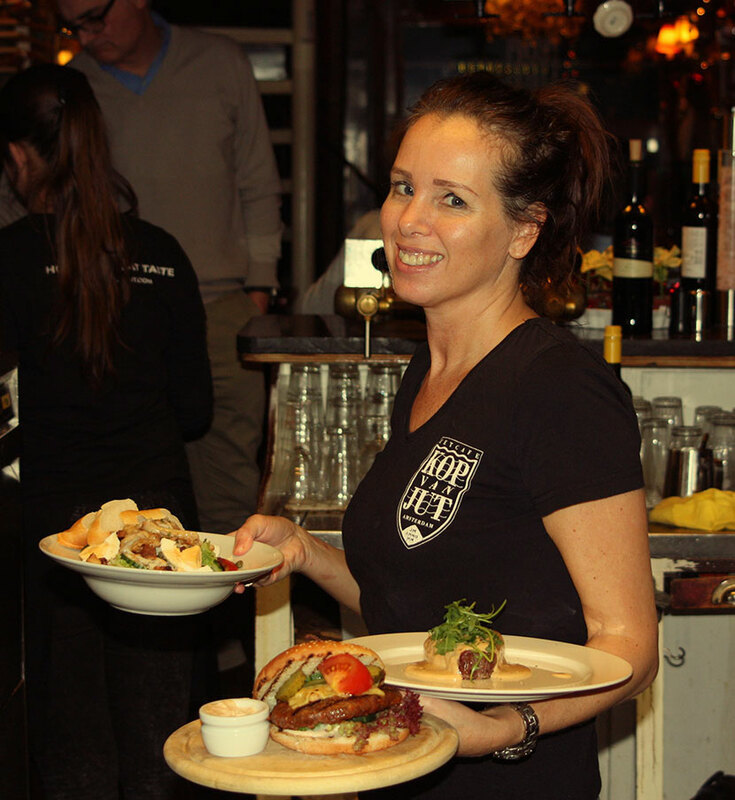 Try one of the locally brewed beers or one of the famous “Jenevers” and feel welcome at Kop van Jut.